1. Post 7 things about yourself. 2. 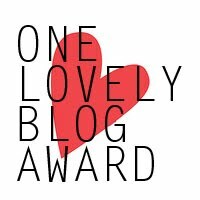 Give this award to 13 other bloggers. 1. I swatch on my right hand for pictures, even though I am right-handed. 2. I'm getting my first apartment this August! 3. Crime TV shows and Dance Moms are my guilty pleasures. 4. My favorite color of all is purple. 5. I like to crochet and make crafts. 6. I prefer to paint my nails at least once a day! 7. I am currently obsessed with Breaking Bad. So good! I am tagging all of you in this award! I would love to see your list of facts about yourselves. Please leave a link if you decide to do the award!